Looking for inspiration for a bright and white interior? Here some absolutely beautiful interiors that you’ll just love. The best thing about a white interior and neutral color scheme is that you can dress it up and down as you like. You can choose shinny and clean furnishings or go for a rustic charm. Remember to choose some warm elements, to sooth the overall look, you’re going for clean not clinical. The images below, will help you to get the balance right. Notice how each layout, uses a very simple pallet. The warm timber flooring, wooden table legs and the wicker basket are used to give balance to the room. When design your interior, remember to keep things in balance. What the main colors? What are the secondary colors? And which is the third accent color? The accent colors of this, is the two orange vases on the coffee table. Just because you are going for an all white look, doesn’t mean you aren’t allowed to have a feature wall. This room above uses blue to make the space a little more fun and inviting. It breaks it up on the eyes, visually expanding the size of the room. This room is very pale, personally, I would add an accent color somewhere to just set it of. This could be a painting, a vase or a lush plant. This bathroom uses greeny just to give it that lift. It helps to make it inviting and reminds you that this not an art gallery, but something you can touch and feel. Another great use of a room accent with plants used to lighten the space emotionally and make you just want to snuggle up and read your favorite novel. 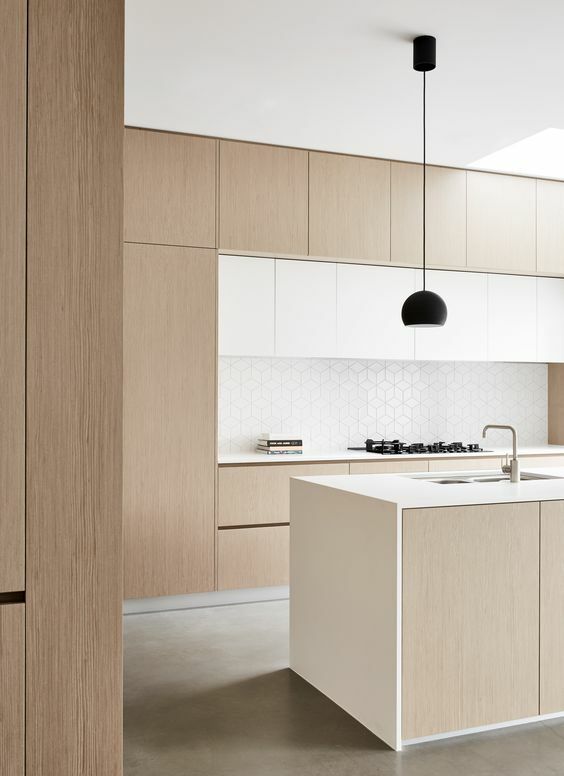 At first this design looks very simple, however such fine details as the hexagon shaped tiles and natural timber really help to give a sophisticated and Scandinavian appearance. Not into green as your accent, why not gold? Details only your ‘design friends’ will understand and care about. Could a staircase like this work in your home? Really great space, everything has great proportions, but it’s missing that accent color to bring it from a display home, to a home of comfort. What accent color would you pair with your white interior? Let us know in the comments below.